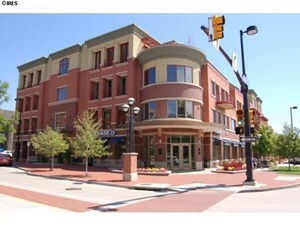 Student Housing - Housing in Boulder CO, Rentals, Real Estate, Homes and More! We offer the largest selection of student housing in Boulder. Whether you are a student looking to move off campus in Boulder, looking for your first student rental in Boulder, or a parent of a CU student looking for a suitable place for your son or daughter to live in Boulder. Cal us first and we will walk you through the many different options including rentals and purchase options. Many students prefer to rent in Boulder as oppossed to purchase. And for student rentals there a good supply of properties to choose from. Whether it be apartments, condos, townhomes, or houses to rent, there are student rental properties to accommodate all budgets and sizes. With that said you have to start your housing hunt early. Many of the student rental practice what is referred to as pre-leasing. What is Fall Preleasing in Boulder? Preleasing refers to the practice that many property managers in Boulder engage in whereby they are renting their properties well in advance of their occupancy availabiliy. For example, they may have a house for rent on the hill in Boulder where the current tenants lease is scheduled to expire next fall. In the case of preleasing they would list that property for rent in some cases nearly a year in advance, collect a security deposit from the next tenants, and have a signed lease in place well in advance of the current tenants vacating. What Boulder Fall Preleasing means for students? Preleasing in Boulder means that students need to start their housing search nearly a year in advance of their desired move-in date. That's right, a year in advance. Most student rentals in Boulder will be booked by the time August rolls around so dont delay, start early, and call us for the most comprehensive list of student housing in Boulder. Popular locations for Student Housing in Boulder? Univerisity Hilll, or The Hill has been historically the most popular location for student housing in Boulder. Properties tend to be large older houses that offer a higher occupany from 3 bedrooms to as much as 7 bedrooms. The rental cost is high for these places so be prepared to open your checkbook. Student Apartments, walking distance to campus. There are a handful of apartment complexes within walking distance to CU Boulder campus, mostly to the direct east of campus across 28th street. These apartments tend to be more affordable, smaller, and include on site amenities such as pools and fitness centers. Downtown Boulder Rentals. Perhaps the most expensive part of town in downtown Boulder, or the Pearl Street mall area. A historic distric with an eclectic mix of properties ranging from large old houses to new modern condos. Some properties in 2013 are selliing for over $1,000 per square foot, rents are very high. Generally you will need a car or take a bus to campus from here as it's too far to walk. NOBO- North Boulder, a newer up an coming area. Too far to walk, not as popular with students. SOBO- South Boulder, older ranch style homes and some apartments, closer to campus than NOBO but some locations such as Table Mesa are still a fairly long walk or bike. Fairly affordable compared to the Hill or downtown. What types of Boulder student rentals do you offer? Can student housing be purchased in Boulder? Yes, we help students and their parents purchase property in Boulder that they can then rent out or sell after their years at CU. Historically Boulder has been a solid real estate market to invest, and there has been consistent demand for student rental housing for a long time. There is a limit on gowth and development in Boulder so property owners that hold on to their rental properties for a decade or longer typically see handsome returns. Where to start looking for Student Housing in Boulder?